Today, Monday 8 October 2018, marks the official launch of Happy Magazine to the Irish media. As part of Breast Cancer Awareness Month, myself, our Happy Magazine cover star Domini Kemp and three more beautiful breast cancer survivors – Niamh, Joan and Natasha – had fun shooting some photos for the Happy Magazine press release yesterday on the Samuel Beckett Bridge in Dublin city. 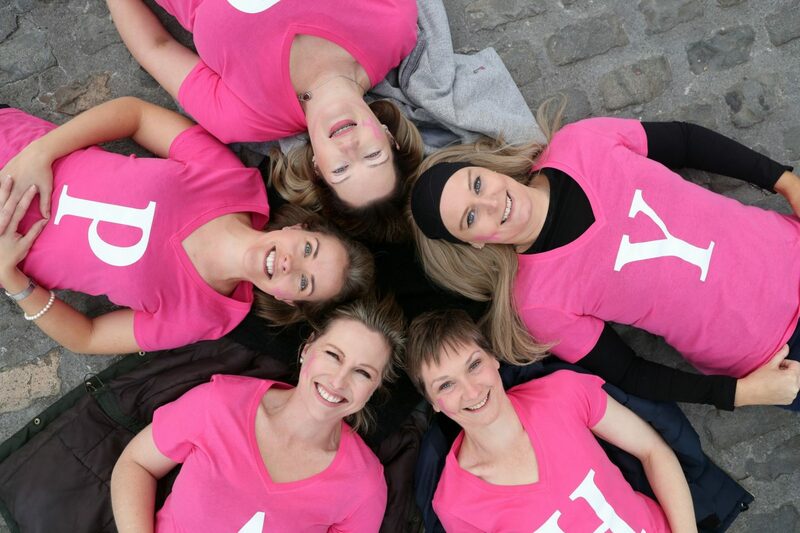 Pictured clockwise from bottom left are Domini Kemp, food author, chef and writer; Holly Kennedy, age 33, Founder Happy Magazine; Niamh Ui Chadhla, 42 from Kildare; Joan Timmins, age 43 from Balgriffin, going through breast cancer treatment currently and Natasha Whelehan, age 40 from Laois. 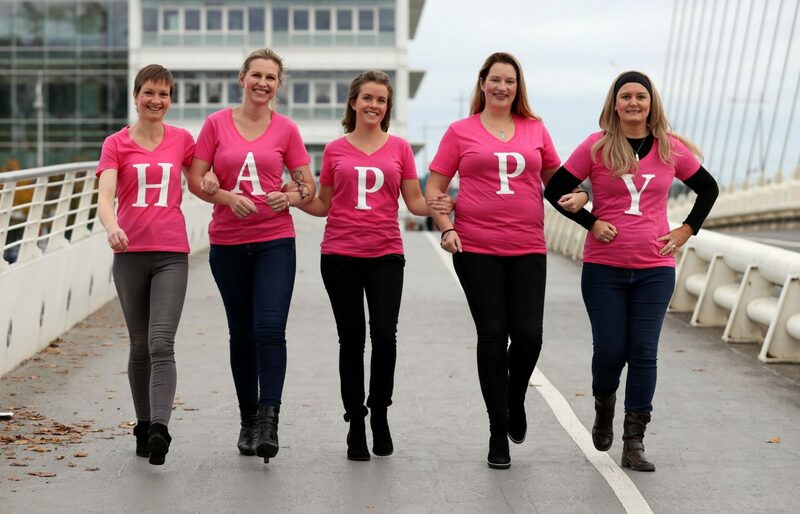 All five women are breast cancer survivors and readers of Happy Magazine. It was an absolute honour to meet all these women yesterday and spend a few hours together sharing our breast cancer stories – not a tear or fear in sight – only courage, strength and support for each other. I will be forever grateful for these women, for coming out very early on a Sunday morning and supporting what I am doing with Happy Magazine. This December I will be two years from my initial diagnosis and in some ways it seems like a long time, in others, it seems like just yesterday. Happy Magazine has helped me put my life back together after the trauma of my diagnosis back in 2016. I thought I would never be happy again, but writing the website and now the print magazine has helped me get through my own treatment and the ‘getting back to normal/new normal’ afterwards. It has helped me see how much I have learnt from cancer, it has helped me become the best version of me I have ever been. When I look at these beautiful photos, I see five incredible women representing so many, many more around the country. We are not alone with cancer. We have each other. We can all find support and strength in each other. Even the thought of knowing you are not alone can be enough to help you through a difficult day. Happy Magazine is about how to be happy after a cancer diagnosis. It is how to find the joy in every day, how to look and feel your best during cancer, whatever that might look like for you. It’s not just for women, it’s for men too – I strive to bring as much content as I can to the site relevant for both men and women. The Happy Magazine dream has always been to get printed copies into every hospital in Ireland, to the chemo day wards and into the hands of every new person starting their cancer journey. My hope is it will provide some guidance, support, positivity and courage when it is most needed. Below is the official press release which was issued to the media yesterday and which we are hoping will land in some of the papers – to share the message that you can be happy after cancer. I can’t believe Happy Magazine has made it this far! October is the month I am hoping it all comes together. It’s exciting and energising times and hopefully everything will land where it should. There are still some arrangements to be made but with a little bit of luck, we are on course to deliver the first issue of the magazine next month. With very special thanks to Natasha, Domini, Niamh and Joan for taking part in this media launch. With very special thanks to Jason Clarke Photography for the pictures. 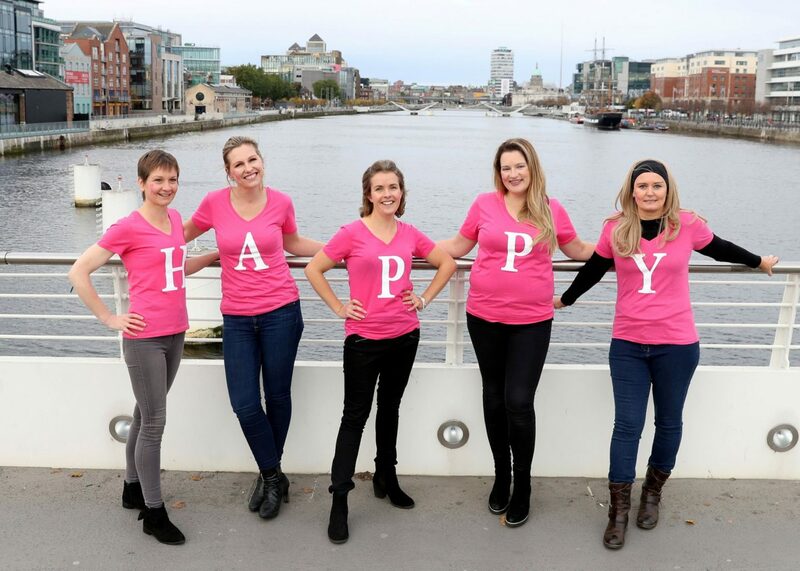 Monday 8 October 2018, Dublin: HappyMagazine.ie, an innovative support website for people affected by cancer in Ireland, is launching Ireland’s first dedicated cancer support magazine. HappyMagazine.ie, Ireland’s only non-charity, non-medical dedicated cancer support resource, currently publishes relevant positive and helpful content for anyone going through cancer or surviving after cancer (a patient or their friends/families) online daily. Since its inception in July 2017, Happy Magazine has gone from strength to strength and has now had over 50,000 views. A reader who follows Happy Magazine over time receives long-term encouragement, motivation and support for making positive changes to help them become more happy and healthy in their life after a cancer diagnosis. This November, Happy Magazine will launch its first print edition. The launch issue will have a print run of 10,000 copies and be solely funded by relevant and responsible advertising revenue. The magazine will be distributed across the country to all cancer treatment centres. The magazine will be the first dedicated cancer support magazine in Ireland. October is Breast Cancer Awareness Month, an annual campaign to increase awareness of the disease. 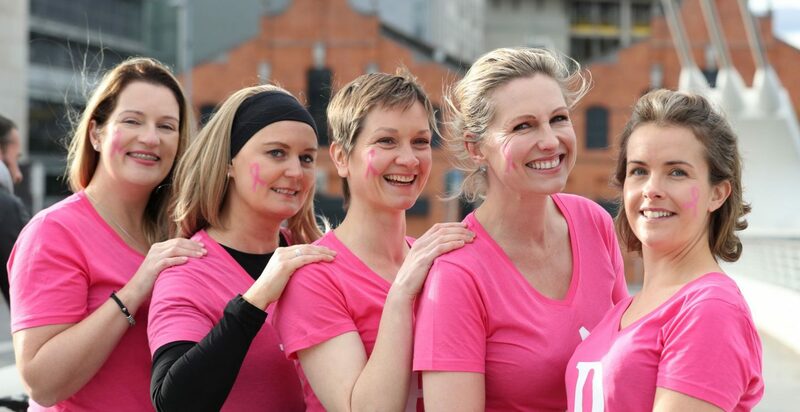 Breast cancer is the most common cancer in women in Ireland. Every year more than 3,500 cases are diagnosed. The number of breast cancer cases being diagnosed increases each year. 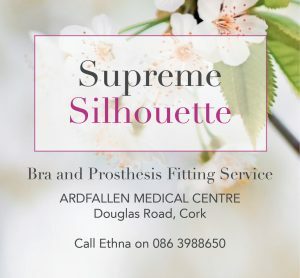 According to the National Cancer Registry of Ireland there are more than 37,000 women living with breast cancer in Ireland. Around 700 women die each year from breast cancer in Ireland. Breast cancer is most common in women from 50 years onwards but it can be diagnosed at a younger age. 1 in 10 women will be diagnosed with breast cancer in their lifetime. *1 in 2 by 2020 is a projection based on current data provided by the NCRI. It makes allowances for variables such as aging population, lifestyle and other factors and is in line with projections for other countries such as the UK. Data sourced from the National Cancer Registry of Ireland (NCRI). Happy Magazine is an innovative support website for people affected by cancer in Ireland. 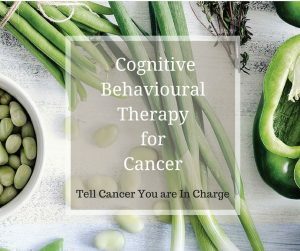 It publishes relevant positive and helpful content for anyone going through cancer or surviving after cancer (a patient or their friends/families) online daily. A reader who follows Happy Magazine over time receives long-term encouragement, motivation and support for making positive changes to help them become more happy and healthy in their life after a cancer diagnosis. Daily content is managed by founder Holly Kennedy, a young mother-of-one and also a recent breast cancer survivor. 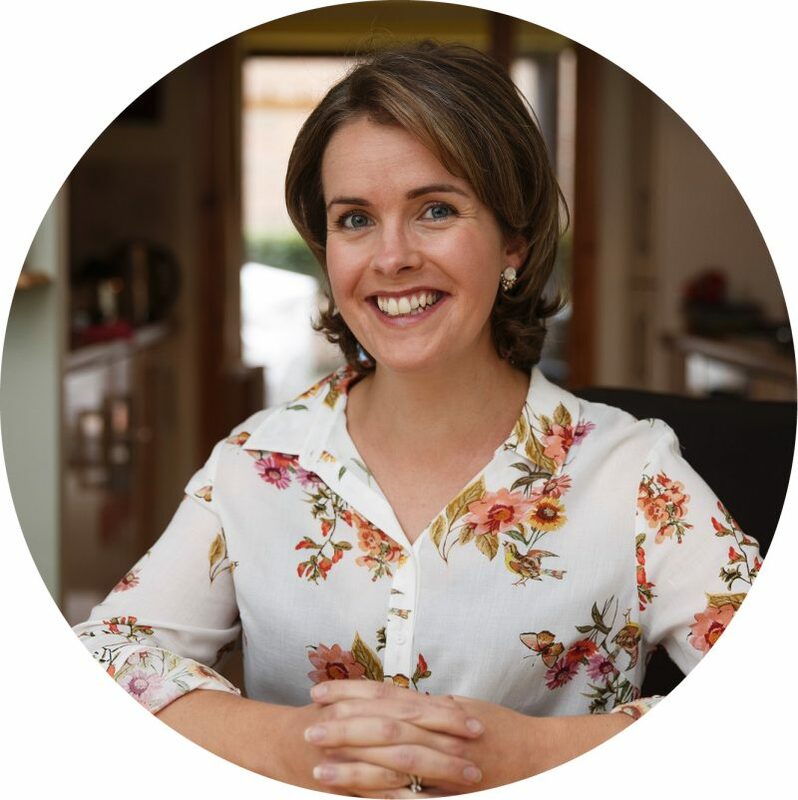 Content is contributed by Holly as well as crowd-sourced from other cancer survivors, leading voices in the Irish health and wellness space, relevant organisations, charities, businesses and interested parties. Content also makes the best use of available online resources to support cancer patients who do not have the energy or desire to attend a local support centre, sharing videos on cooking, yoga, home exercise routines, music therapy, meditations, podcasts and more. 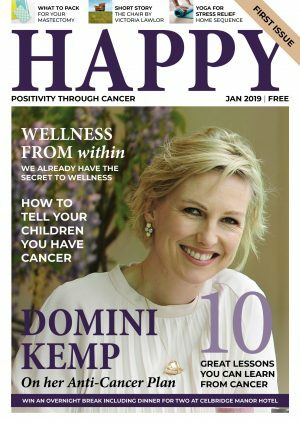 Every good wish for the success of the print version of your online Happy Magazine Holly …it is such a positive and motivating mag with relevant tips and ideas for someone going through cancer….you’ve made this happen! Congratulations to you and everyone involved.